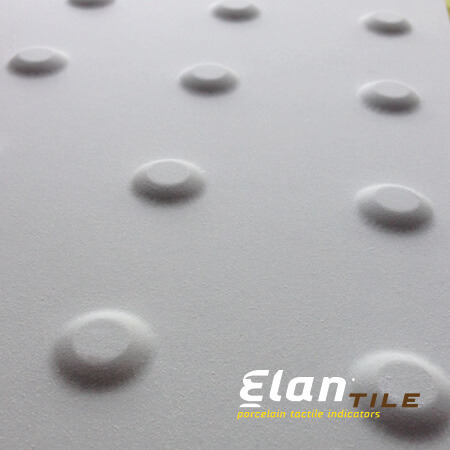 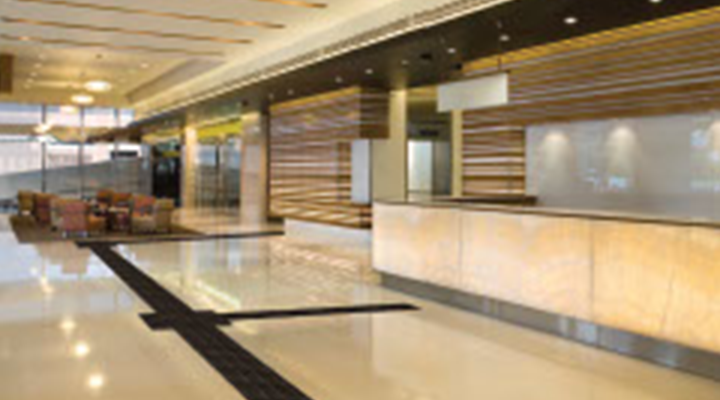 Elan® Tile is the ultimate porcelain tactile indicator chosen by professionals who design and construct the finest commercial, institutional and public environments. 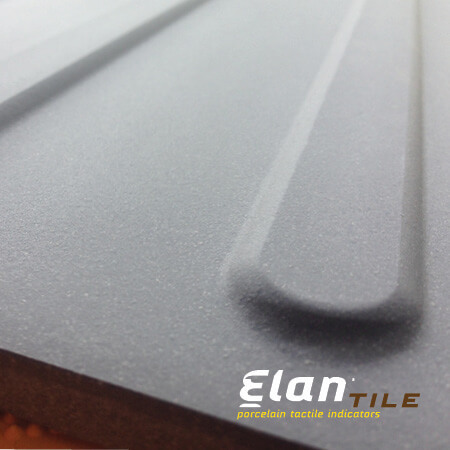 Incorporating the best raw materials in the market, Elan® Tile far exceeds the EN 14411 standard, allowing the product to meet the designation of “Porcelain Stoneware” and to be suitable for both interior and exterior applications. 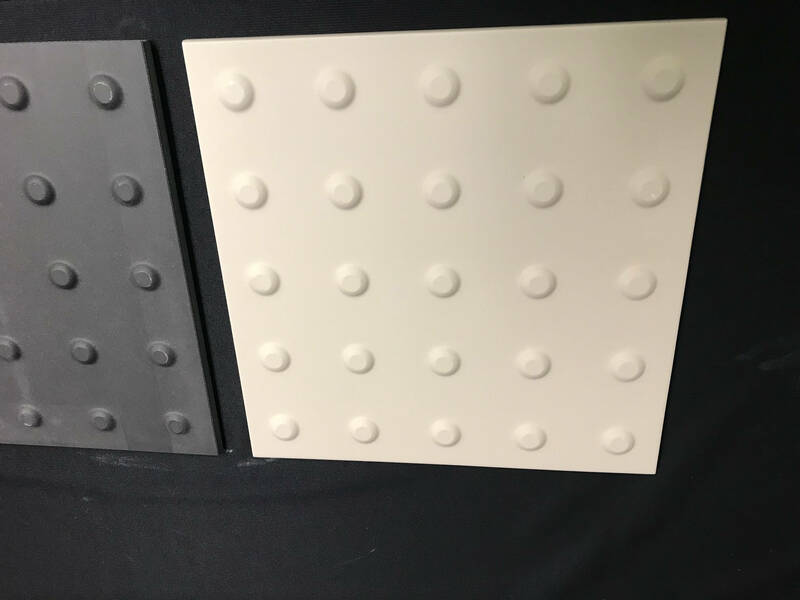 Offering highly durable and versatile tactile walking surface indicators (truncated domes) for warning, and direction indicators for wayfinding, the Elan® Tile line of products signals the newest generation of excellence from Kinesik. 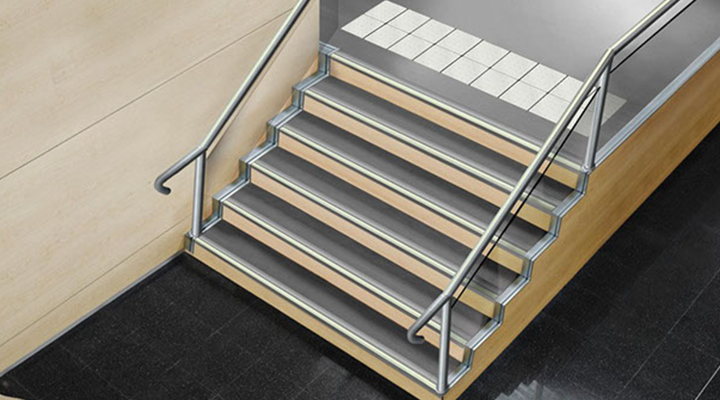 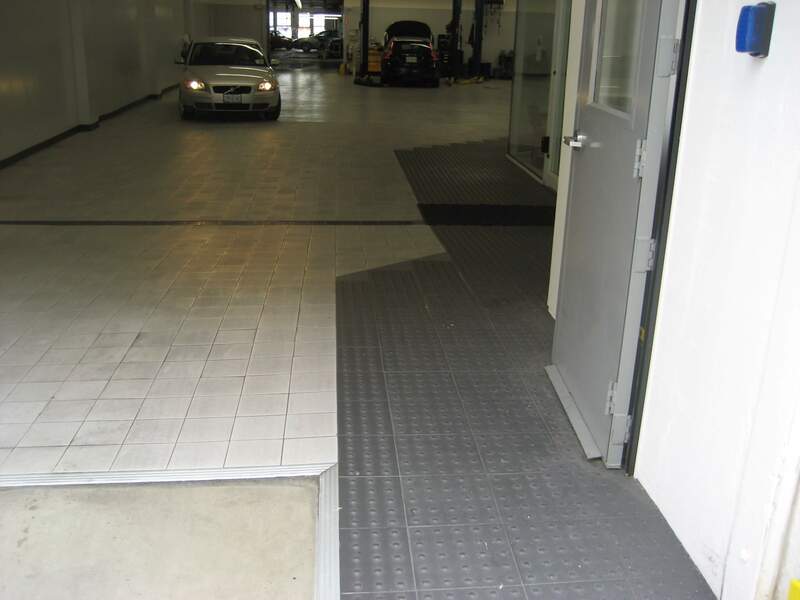 Kinesik Engineered Products Incorporated is in full compliance with Canadian Accessibility Codes. 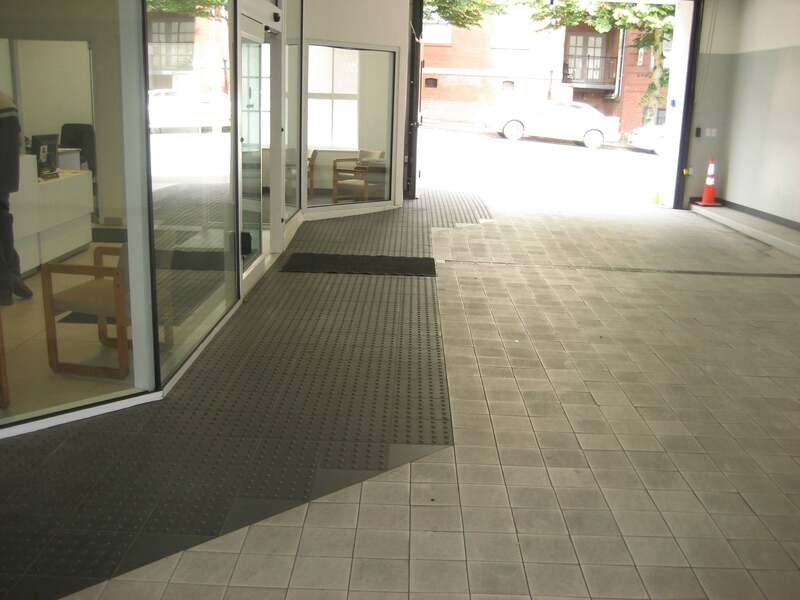 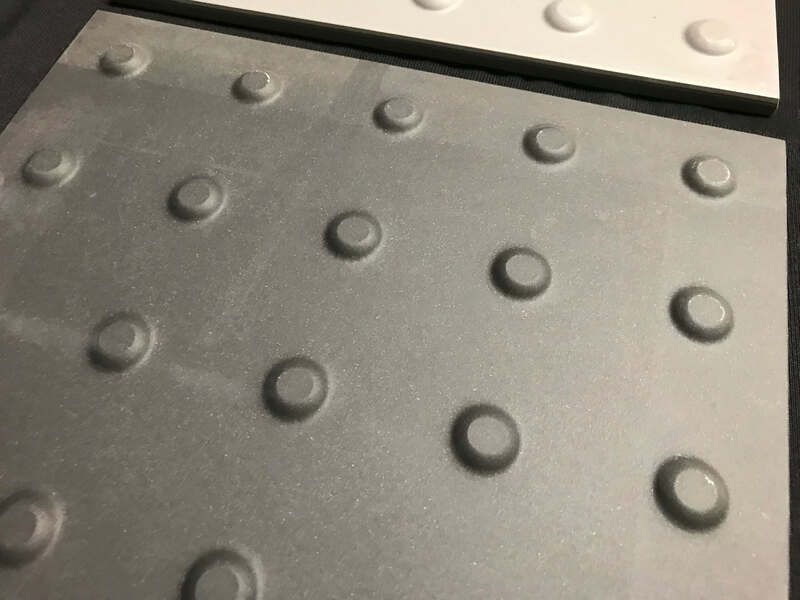 Our tactile walking surface indicators meet the most recent AODA, CSA, and ISO, provincial and national building codes. 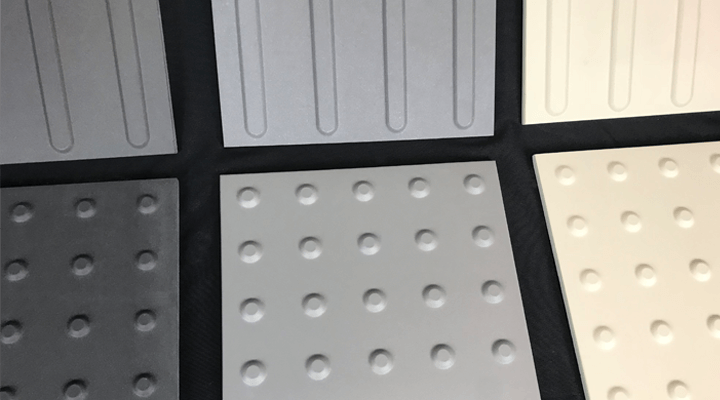 Kinesik Engineered Products Incorporated is your one stop source for all tactile systems for people who have visual impairments, and only Kinesik provides a complete range of products designed for safety and convenience.